The new event is beginning to celebrate the Summer ! Please refer to the following details! [Event 01] Save the Summer ! The Event Boss Monster, PARASOL is returned!! Parasol will be appearing in ASDA world's every Elite Fields. Please defeat the Parasol and save the summer! * Event Boss Monster will be respawned 1 hour after defeated. The Event Quest will be added on each field's bulletin board. Each Quest has a level section. 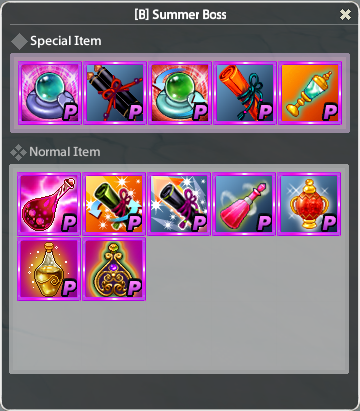 Complete the Event Quest and Get the items! [Event 02] Summer attendance check! 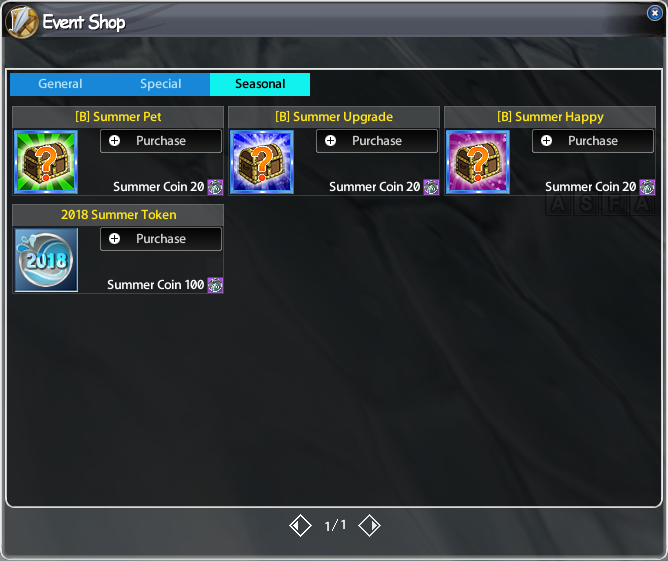 During the Event period, you can obtain the 5 Summer Coins. All you have to do is just enter the game and get the coins from Event NPC LaLa! 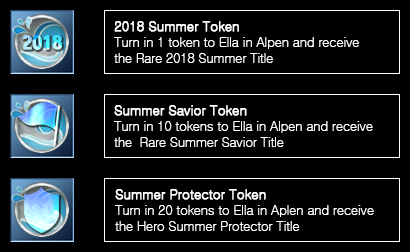 You can get the Titles by paying the Tokens to Ella!